HOUSTON -- Country star Joey Feek, 40, has entered hospice care. 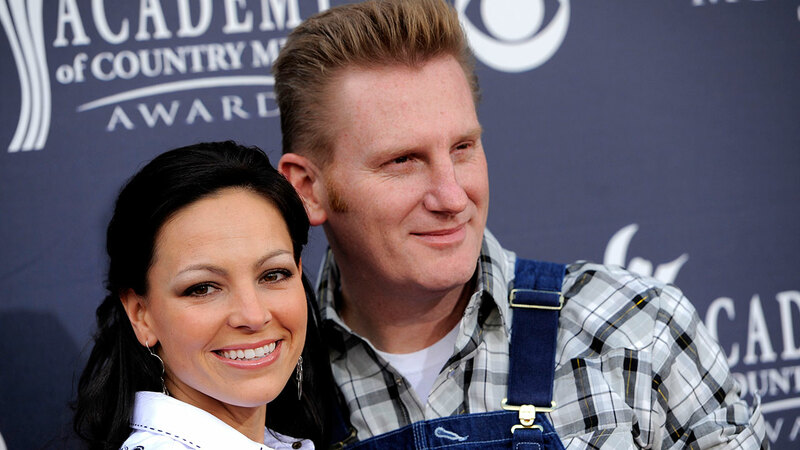 The musician, who's part of the duo Joey + Rory, has been battling cancer. A blog post written by her husband, Rory Feek, states Joey was admitted to a hospital in Muncie, Indiana, Friday morning, and doctors said her cancer tumors were growing and became inflamed, causing enormous amounts of pain. She is on morphine now. Rory also shared pictures of Joey in the hospital with their toddler daughter, Indiana. According to June 2015 blog post by Rory, Joey was diagnosed with cervical cancer last year and had surgery to remove the tumor. However, cancer cells from the original diagnosis spread to another organ, and in June, doctors discovered a 9 cm tumor in her colon. Two weeks ago, we learned Joey Feek was terminally ill.
Rory says the family planned to leave the hospital Monday and hospice, as well as a hospital bed, were ordered. Rory wrote that they'd set up a bed for Joey so that there's a play area nearby for Indiana. He say both he and his wife are "at peace with where she is and where she's going." Rory wrote that he has been reading into recordable books so Indiana will know her mother's voice.